Nick Bishop criticised the Las Iguanas branch for not having a 'plan B' after a mechanical fault left him stuck in a 'stressful' situation. Great Western Railway have apologised to disabled comedia Tanyalee Davis after she was forced to vacate a disabled space. Muscular Dystrophy UK said the lack of an option to label abusive tweets based on disability was preventing more reporting. The case was triggered by wheelchair user Doug Paulley who boarded a bus but could not get on because a pram was in the wheelchair space. The government is planning a major overhaul of Work Capability Assessments for disabled people. 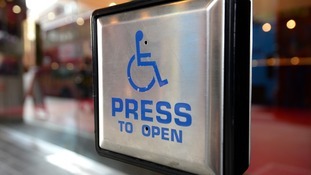 Two in five disabled people conceal their impairments because of poor attitudes from the public, a new report says. Committee of MPs finds claimants not receiving "acceptable level of service" with up one in five reports sampled "below required standard".